In January - when warm and wet, is the time when the local rivers fill with the first runs of steelhead, followed by anglers fishing fly and float. Yet we have seen their steady decline for decades and today the once great rivers on the east coast of Vancouver island and elsewhere are devoid of fish. How did this happen? It was only seventy years ago that Roderick Haig Brown introduced the world to Vancouver Island and it’s amazing angling for winter and summer run steelhead? 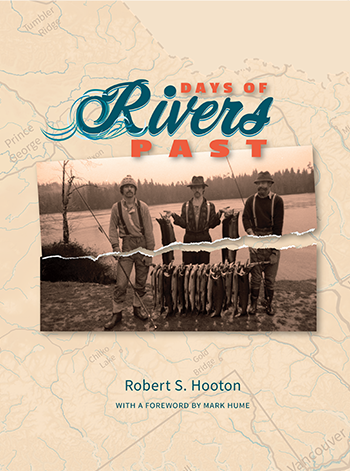 In Robert Hooton’s book “Days of Rivers Past” he writes of the systemic destruction of steelhead runs in British Columbia through his intimate knowledge of a handful of watersheds such as the Skeena, Gold and many other streams throughout the Province. His background both in his working life, as a provincial biologist as well as an avid angler, gives him a unique perspective about these fish and the river systems they inhabit. 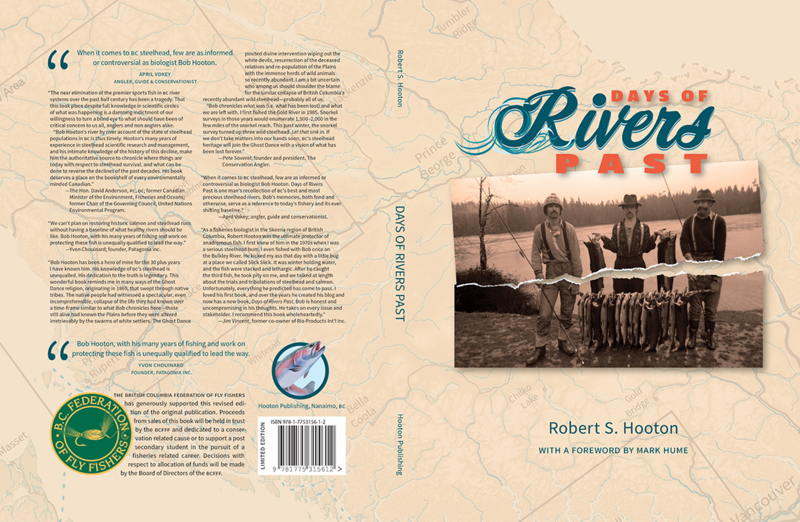 Throughout his working life he amassed a vast amount of historical data, both anecdotal and imperative, that provides the reader with a detailed history of the management of steelhead in the province, and of the former abundance of these fish. No other publication has compiled this amount of complete data on British Columbia’s steelhead fishery, this fact alone makes this a book of importance. A child of the Baby Boom generation, the author worked and fished with anglers of “the older generation” who experienced the heyday of steelhead fishing, with large numbers on the coast. This meeting affected him deeply, he was thankful he was “able to meet the person whose remarkably gifted and penetrating writings, countless public appearances, his pronouncements on conservation issues that eclipsed all others through the history of natural resource management in British Columbia and beyond .”. This meeting was to have a lasting impression and sets the tone for his book. Leading us through some of the wonderful watersheds he has known from the beginning of his career and up to the present day, where many are now facing a conservation crisis, is a powerful and critically salient record. Co published with the British Columbia Federation of Fly Fishers the Author has chosen generously to donate all funds from the publication to the organisation to help set up a fund to go towards steelhead related projects.